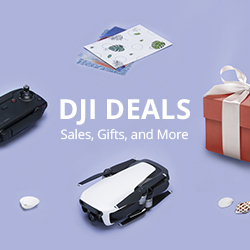 DJI has just launched the new improved much awaited Mavic 2. The Mavic 2 offers iconic Hasselblad image quality on the Pro and a high-performance zoom lens on the Zoom. With new features like “Hyperlapse”, “Dolly Zoom” (Mavic 2 Zoom) and “Super Resolution” (Mavic 2 Zoom) help you to experience the super amazing shooting effect of Mavic 2.